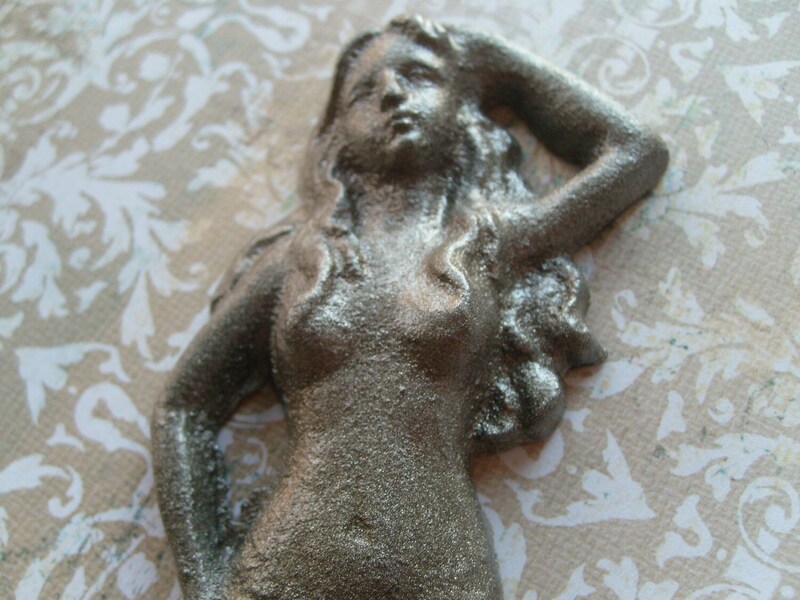 I bought this metallic paint for a custom order, and decided it might look lovely on my mermaids~I love how she turned out! 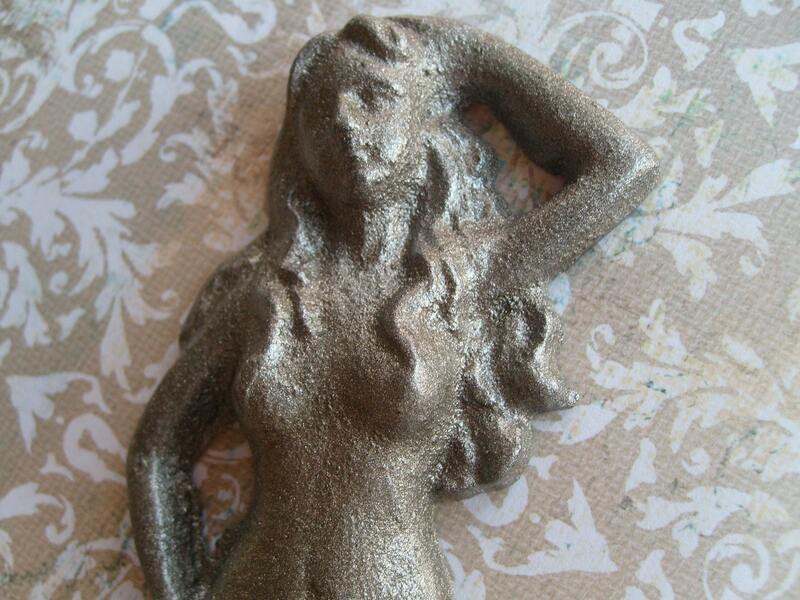 This listing is for TWO mermaid hangers, as shown, with satin nickel finish or in another of the 25 colors below, as shown in last photo. This is one of our best selling items year round: Just because we can't live at the beach, doesn't mean we can't have lovely classy looking beach decor :) This lovely lady would look terrific in a beach house, cottage at the river, or in your pool house, entry hall or mudroom. Makes a great hostess gift/thank you for someone who let you stay in their beach house/cottage/condo! Give the mermaid or beach lover a fun, unique place to hang his/her robe, towel, or scarves...etc.. 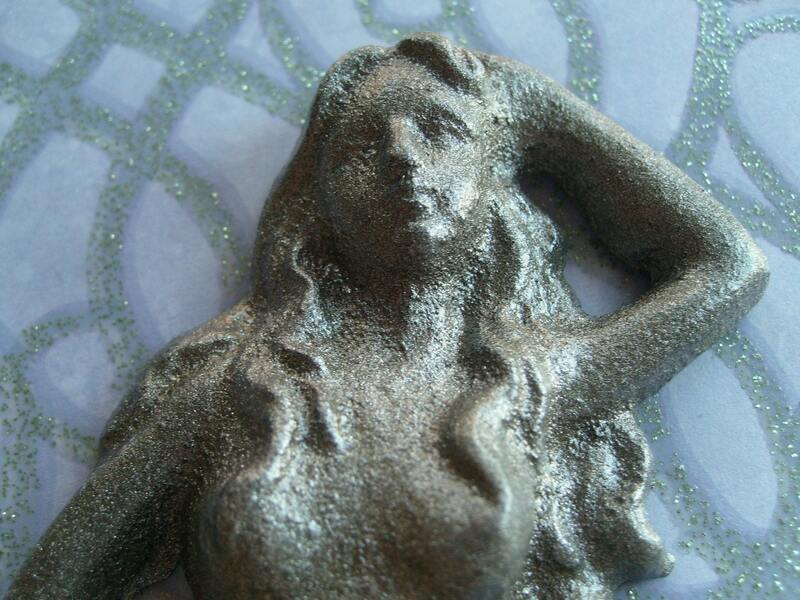 This lovely lady measures 6 " tall, 3" wide at the widest point, and sets out about 1 1/2". Her tail provides a sturdy hanger for towels, jewelry, coats, leashes or just let her hang with out adornment all by her lovely self! Your mermaids will be shipped in the small priority box. 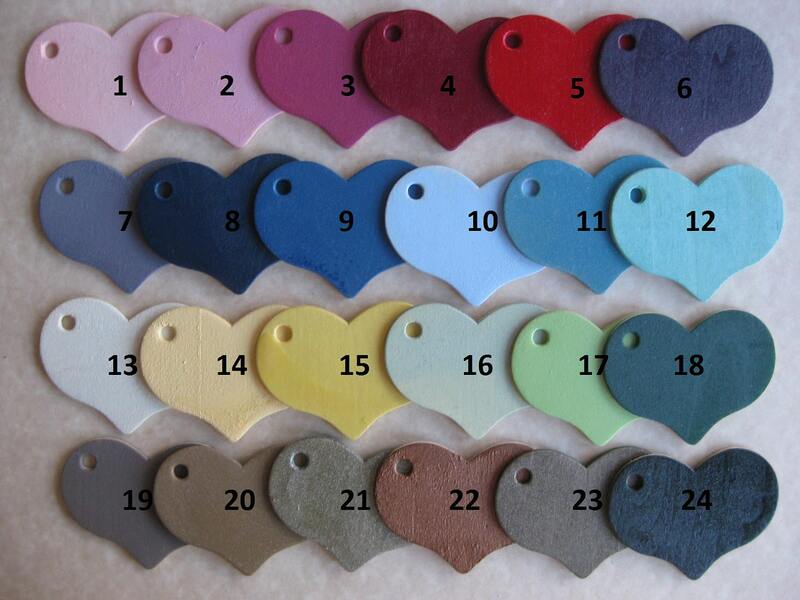 Don't forget to let us know the color (s) you want-thanks. If you like this look, check out our other hangers~ starfish and mermaids are my biggest sellers; we'll continue to add fun shabby chic and beach decor in the same price range as this listing, for mounted and unmounted hooks, on painted pine, reclaimed wood, or as a stand alone hangers. Convo us with ?s. Thanks for coming by, have a blessed day! SO amazing. They are solid and weighty I have no doubt they will withstand heavy wet towels. The paint job it great, the distressed look was just the right amount to look purposeful and not "old and unkempt". 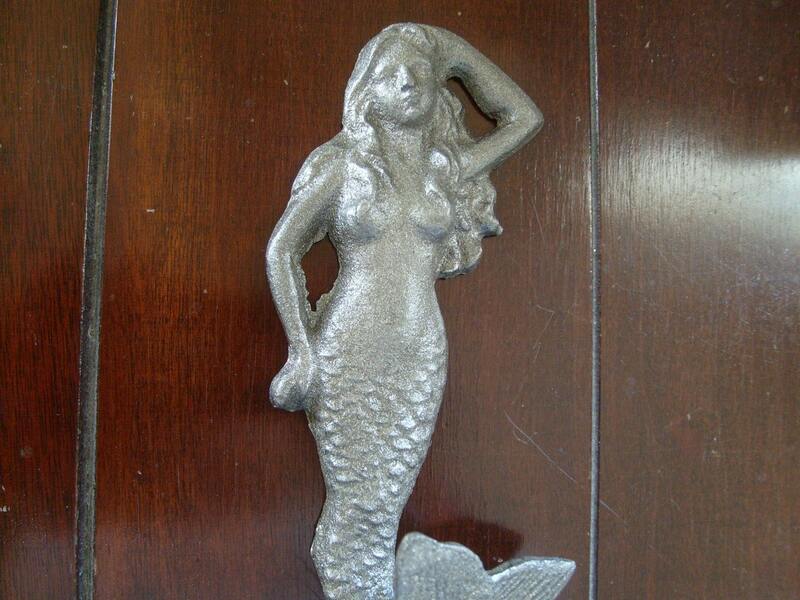 Great pieces that tie my "mermaid" "ocean" bathroom together well. I am so pleased!! thanks!! These hooks are absolutely gorgeous! I really love them! I love the seller and will be buying more from her! The Satin Nickel color is divine! Thank you!